Better Customization for Multi-Monitor Setups? I don't know if this falls under the coming features ("Tinker-y" Settings panel) or (Making the window size and elements dynamically adjustable) but I'd really like to see better position control for multi-monitor setups. 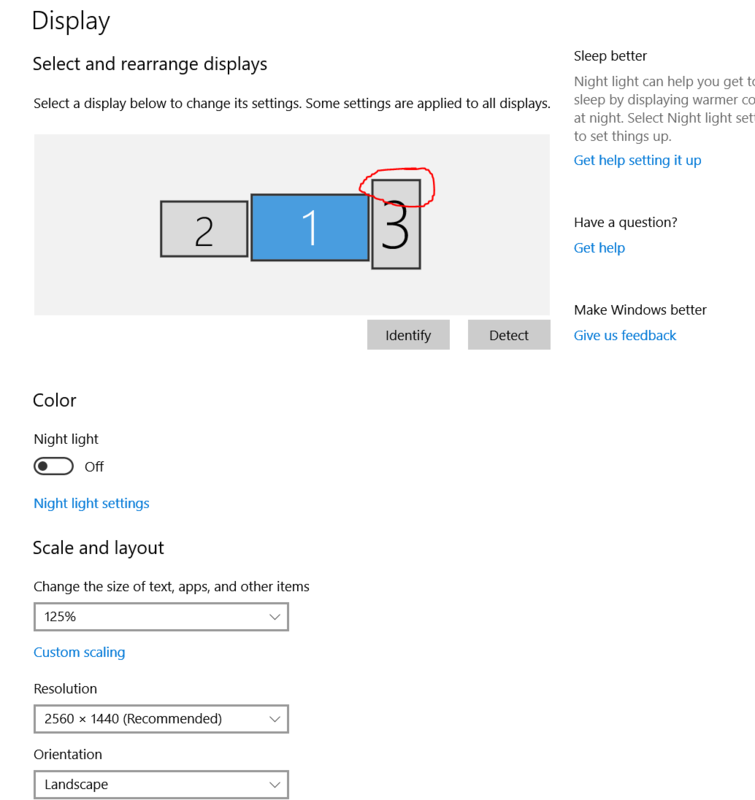 I have two adjacent monitors to my main screen, but my right one is in portrait mode. So it is taller than the other two. My second computer screen is above my 1st computer's primary display. But I can't drag my mouse directly to it. I have to go to the taller screen to the right since it has the highest point of my setup. However, I'm able to move my cursor down to my main display like normal. This was confirmed when I leveled the right portrait screen with my main screen in Window's Display Settings, and I was able to move the cursor back and forth like normal. 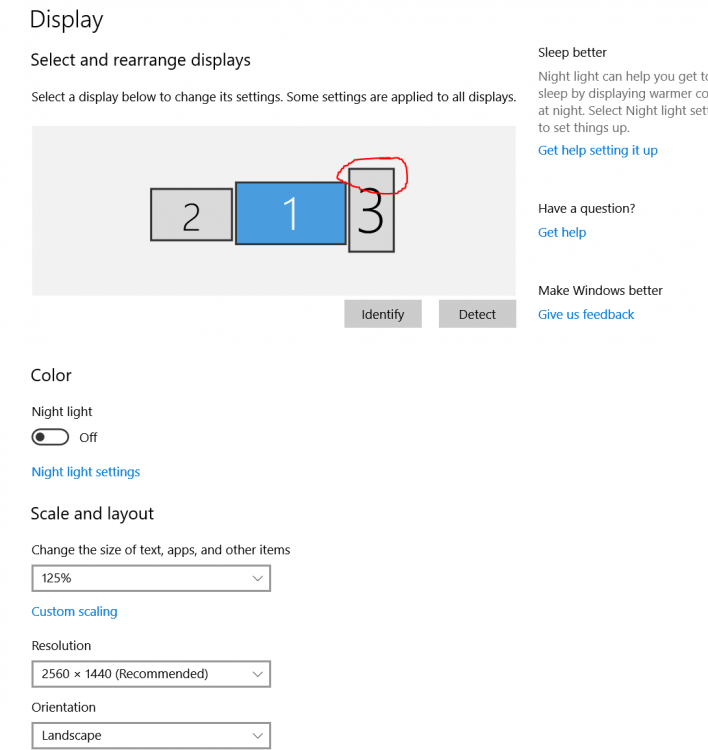 I'd like to see an interface like windows display settings, but for synergy where the screens just like like an extra monitor and can be moved around. Personally, I use a laptop with a multimonitor desktop/workstation setup. I like putting the laptops on the screens of the desktop/workstation. However, since each machine is seen as a single monitor, I cant then make it so one laptop is under monitor 1 and another is under monitor 2. This feature is planned for 2.2 which is due in about 12 months. For now, you can either wait, or take a refund and use Synergy 1.
in Synergy I have MAC2 on top with PC1 down, but in actuality going down usually takes me to PC2 and I need to move right to get to PC1. I'd like to be able to layout the monitors in the fashion that going left from MAC2 takes me to PC2, going down from MAC2 takes me to PC1. Very similar use case. Nick said to roll back to the last version, but I don't remember seeing this feature in the last one. Maybe I'll take a look and do that because it's driving me crazy to pull my cursor to my right monitor, in order to get to my top monitor. But it pulls right back the correct way. Hopefully the fix comes sooner than later. I am having a very similar issue. It's actually infuriating In my case I have to draw a huge circle with my mouse and make a big swipe left to get my mouse onto my 2nd PC's screen. Good thing I have a big mouse pad .This doesn't feel very seamless to me.